=> Type your message into the STREAM message box. => Any links will automatically convert to clickable links for students. => You can format and include images in your message. 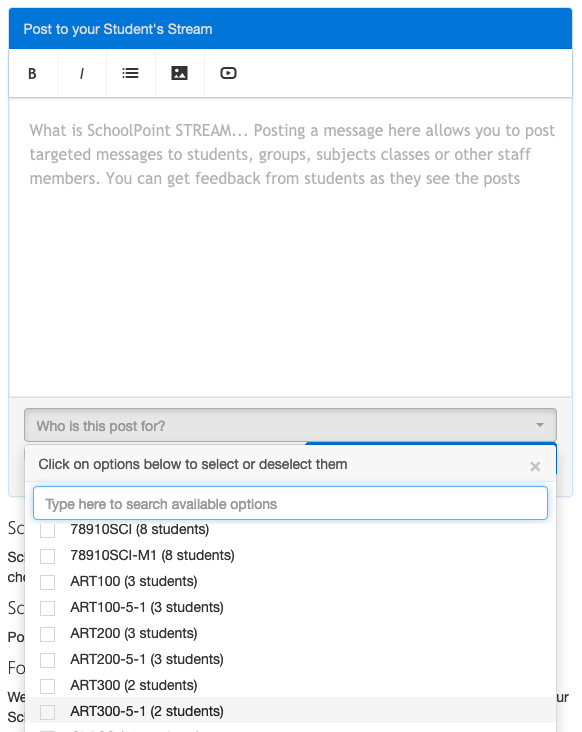 => Select the class or group and optionally click the 'Send Notification' checkbox. Note 1: If notifications are enabled, then any students or caregivers will receive an alert on their app. Note 2: Students will see this on their home page the next time they login.